This is the terrifying moment a British Airways flight was descending into Heathrow before being struck by a powerful bolt of lightning. The flight, which had departed from Prague, fortunately landed safely in London but not before YouTuber, Aled Rhys Jones, captured the above video. Apparently, passengers on the flight heard an incredibly loud bang and were surrounded by a shockingly bright light, reports Mashable. 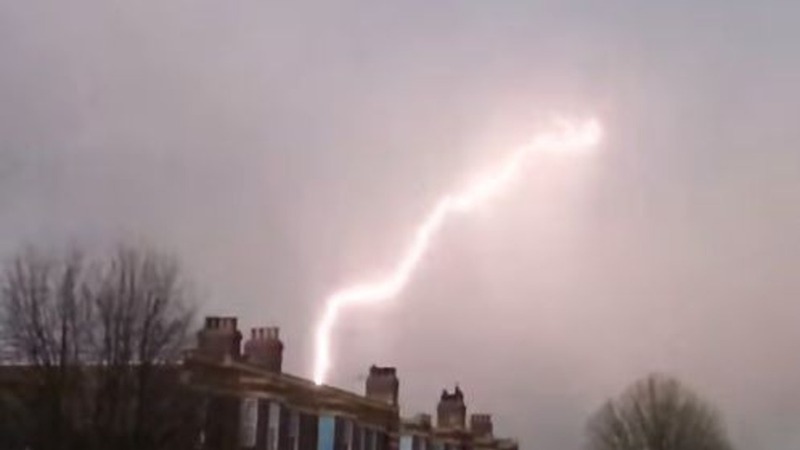 Due to a spell of bad weather, there were a lot of reports of planes being hit by lightning in the capital yesterday. Plane just got hit by lightning on the descent into Heathrow. Didn't die #winning ✈️⚡️? My plane got struck by lightning. I screamed small small. Plane got struck by lightning on the way into Heathrow. Good to be back in London. The flight landed safely, and will undergo inspection before it returns to service. The safety of our customers and crew is always our top priority. Lightning strikes are fairly common, and aircraft are designed to cope with them.